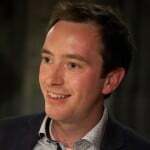 Home » Blog » General » Why Citizenship? The above comment about history was made to me today when I visited a school which used to teach Citizenship discretely but took the subject off the curriculum when the specialist teacher left. Several teachers spoke unprompted about how it had affected the school. One talked about a discussion in a Senior Management Team meeting where teachers from different subjects explained the negative impact it had had on the quality of pupil learning. It’s interesting to note that whilst removing discrete Citizenship from the timetable frees time for other subjects, the effects described to me were negative. One form tutor also noted a change in the quality of informal pupil discussions. 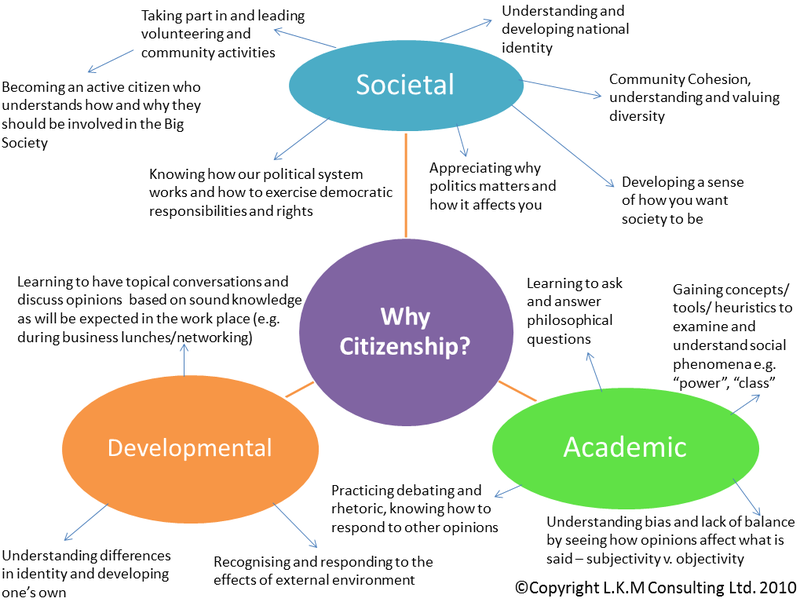 Another who had previously taught Citizenship, Geography, History, Maths and PE described “a different kind of interaction and discussion” that they had been able to encourage in Citizenship lessons and how valuable he had found that. 2. Which of these points would you like developed or explained? 3. Which do you think are most/least important? I’ll update and expand this blog on the basis of your comments. Please leave your comments here or tweet to @LKMco using the hashtag #CitEd. Finally, if you agree with me that Citizenship Education should be saved, vote in my current poll and check out Democratic Life who are campaigning against the scrapping of Citizenship (see their website or follow them on Twitter) to find out how you can be an active citizen and get involved in the campaign. The English Baccalaureate: A Blessing In Disguise? While I agree with some of the comments above, I think you are falling into some traps in your thinking. Two of the solutions you give are very common in discussions of Citizenship Education – i.e. separate it from PSHE, and secondly make it a GCSE. These do not solve the issue which is at the heart of your comments: poor teaching. You can separate PSHE and teach the GCSE but if you have teachers who do not care about the subject, have little training and/or rubbish learning schemes then the students are going to have a poor experience of the subject either way. In our school we fully integrated PSHE and call the subject ‘Self & Society’. All elements are seen as valuable and as something to be learned because they are exciting and useful, rather than because there is a two-hour exam at the end of it. Personally I think it would be better if all PGCEs were Citizenship AND PSHE, that way teachers would be trained in both parts and equally enthused (otherwise who is going to teach the PSHE stuff well?). As someone who has taught KS4 examined and unexamined, I honestly would prefer to go back to unexamined and find ways to make the time meaningful for all students rather than just those who care about exams. I do, however, agree entirely that the knowledge base of Citizenship is a must. Having taught at a Sixth Form where the students had not done citizenship I was horrified by their lack of knowledge about the world and was surprised at how much it affected their understanding in Sociology, Psychology, Government & Politics and Business A-Level. I think the above chart is excellent and think you should submit this to the call for evidance for citizenship. I agree with your post above and i think citizenship is very important in schools, however i do think it needs to improve . 1. Not taught by specialist teacher/ people with an intrest in the subject. I think this had led to people being against the subject. If you are simply told you have a gap in your timetable you will teach citizenship, with no real intrest in the subject many teachers will find teaching this difficult and boring to teach. You need the skills and a intrest in any subject to be able to teach it well. 2. Be stuck with PSHE, This is how it works in my school and I don’t think this works well. PSHE is a very important subject but again if taught poorly can be dragged down into kids seeing this as a doss lesson. Citizenship ideally needs to be taught by a specialist teacher , I am aware with the numbers currently funded to train in this subject this is not possible. However schools could ensure that they appoint a specialist teacher to lead the subject in schools, someone with passion should be able to drive the subject and imporve its image with staff and pupils alike. Encourage all schools to work toward the exam ( either short or full course) again my school does not to do this and you can see the differnce in makes to kids, Year 7’s love citizenship, Year 11’s don’t try Kids need to see the reason to what they are doing. If taught with PSHE Citizenship and SRE should be taugh every year with the others taught once over each key stage to ensure that kids are not bored of it. Citizenship is important to our schools and kids need it.